217ACU Lake Macquarie is looking for young people to join. Hello all. After a busy third term for 2018, we are moving into the final phases of the year. July saw us participate in the NSW AAC Brigade (BDE) Promotion Courses at Singleton Military Area (SMA) where both staff and cadets concentrated with the aim of passing on skills and knowledge in lesson instruction and leadership. In addition, 21 AAC Battalion (BN) conducted staff training and Annual Field Exercise (AFX) Planning. August was very busy time in which we had our Term 3 camp in VERE sector at SMA on the 10-12th. We teamed up with three other units in the BN and the cadets gained field skills in preparation for AFX. On the 20th, NSW AAC BDE Commander – COL Brendan Casey visited our Unit. Before leaving our Unit the COL Casey presented promotions to: Phillip Arthur to Unit Assistant (UA) (AAC) and our Administration Officer, Tanya Nelson to 2LT (AAC). On the 25-26th NSW AAC BDE provided and training weekend for the majority of staff and an opportunity for senior cadets to conduct a Cadet Advisory Council (CAC) in which they discuss what they see is the direction of the AAC. 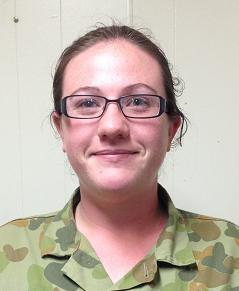 September consisted of the 21 AAC BN Competition Day held on the 1st at Morisset High School. This is always a fantastic day and the weather held off in order to conduct all activities without much delay. 217 ACU came second overall in the Military Skills section of the day! Final preparations for AFX was conducted at Unit level and the Cadets departed the unit on 29th for the week-long camp provided and organized by NSW AAC BDE. The week consisted of navigation, first aid, radio communications, drone demonstrations, engineering techniques, visiting the School of Infantry, Live Shoot on the F89 Minimi and F88 Rifle and water activities on Lake St. Claire. Future events for the end of 2018 include: Term 4 Camp – Super-boats and Treetops. Remembrance Day, End of Year Parade and Dinner and 21 AAC BN Staff Luncheon. 217 ACU is working towards achieving AAC goals and developing the next generation into the leaders of tomorrow. 217 ACU wishes everyone a safe and happy holiday and festive season. – so just come along and learn experiences for the future.